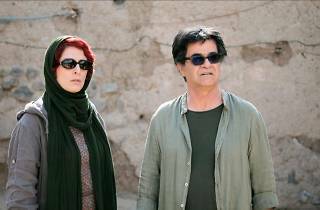 Jafar Panahi’s drama is a gently provocative meditation on the role of creative souls in modern-day Iran. 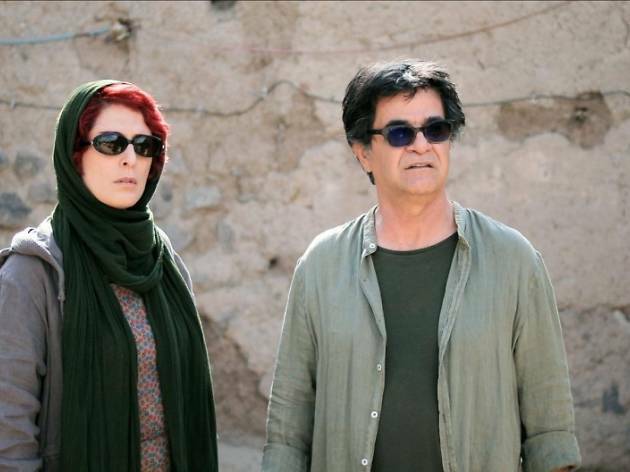 This is Jafar Panahi’s fourth film since the Iranian government slapped him with a 20-year travel and filmmaking ban (the second of which he obviously has ways around). His films since 2010 have developed from introspective experiments shot under house arrest (‘This Is Not a Film’, ‘Closed Curtain’) to more open, busy and light stories such as ‘Taxi Tehran’ and now this reflective road-trip tale that indirectly holds a mirror to his own situation. ‘Three Faces’ opens with Panahi, playing a version of himself, showing well-known Iranian actress Behnaz Jafari a disturbing video he’s received via his phone. A young girl (Marziyeh Rezaei) in a remote village is distraught that her family won’t let her go to drama school in Tehran. We watch as she puts a rope around her neck. It’s a shocking opening. But Panahi and Jafari aren’t convinced. Is the video manipulated? Who sent it? Panahi starts asking questions, setting us up to continue the probe ourselves as his quietly sly film develops. Most of ‘Three Faces’ takes place in the girl’s remote village as Panahi and Jafari interact with the inhabitants (who speak a different language, in more ways than one) in black-comic encounters that highlight a divide between city and country, tradition and modernity. They shun ‘entertainment’ but fawn over Jafari, who they recognise from TV. It never feels condescending: the ironies and culture clashes are treated mostly with wry amusement. A number of key moments take place off-camera, or at a distance, with Panahi’s camera sometimes remaining in the car (just as in ‘Taxi Tehran’ the vehicle feels like a character itself, its screen casting a suspicious eye on proceedings). With the film’s playful approach to the boundary between reality and fiction; its focus on a journey into rural Iran; its interest in the life of artists; its concern for the experience of Iranian women; and its long early shot of one half of a conversation in a moving car, ‘Three Faces’ feels unmistakably like a tribute to Abbas Kiarostami – the great Iranian filmmaker and Panahi’s former mentor who died in 2016. The overwhelming feeling by the end is of a gently provocative meditation on the role of creative souls in any community, the barriers they face and the importance of allowing them to flourish.